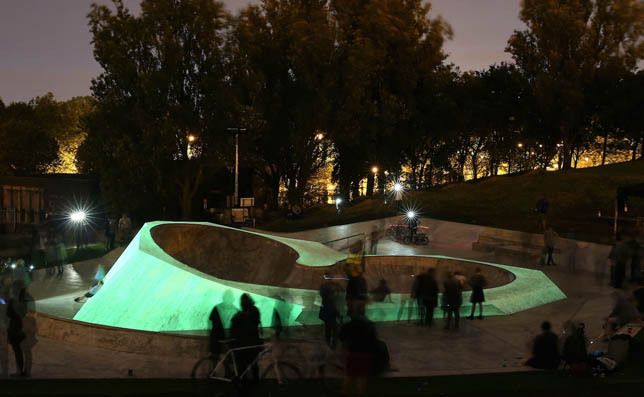 A permanent installation opening as part of the Liverpool Biennial in England, this glowing skate park will be the first of its kind in the UK, enabling skaters of all skill levels to give it a shot by day or night. 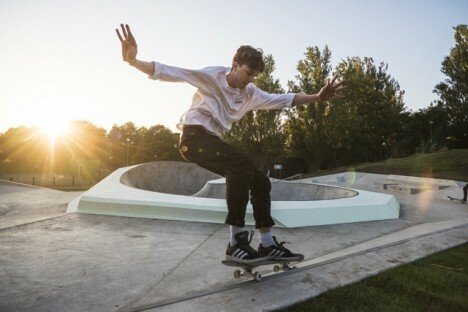 Designed by Korean artist Koo Jeong A (photos by Thierry Bal & Gareth Jones), the minimalist structure borrows elements from skateboarding and BMXing traditions. 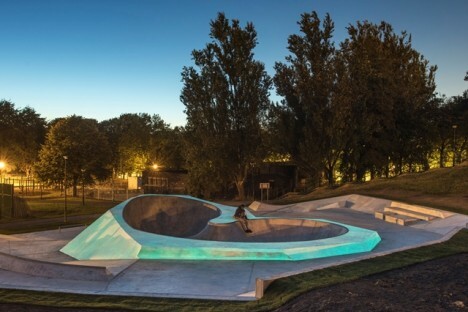 Previous work by A includes another glow-in-the-dark park in France. 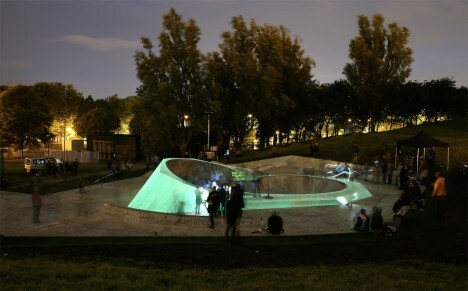 The park was developed in conjunction with Wheelscape Skateparks, a company that uses sprayed concrete to sculpt complex shapes that go beyond basic geometries of cast-in-place approaches.